January 21, 2010 - At the request of the Haitian government, the Department of Transportation’s Federal Aviation Administration (FAA) dispatched a portable, temporary control tower to Haiti today to help assist with aircraft operations at Port-au-Prince International Airport. The tower is being transported aboard a large, chartered cargo aircraft and FAA technicians will install and prepare it for service which will take about 48 hours once it arrives in Port-au-Prince. “We are all grateful for the incredible effort put in by FAA employees who have worked around the clock in Haiti and the Dominican Republic to help relief supplies and emergency responders arrive quickly and efficiently,” said FAA Administrator Randy Babbitt. 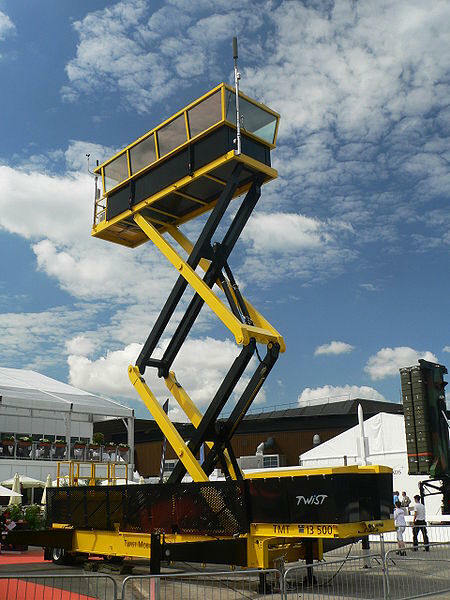 The portable tower is 44 feet long, 13 feet high and eight feet wide, and weighs about 25,000 pounds. It comes with two diesel-powered generators and supporting fuel tanks, plus tools and other support equipment for installation and maintenance. The FAA uses this tower and others like it to support airports where existing towers are out of service after a disaster, like a major hurricane. Controllers providing terminal air traffic control services have worked outside at a folding table, using military radios to handle about 160 flights a day. The airport’s control tower was rendered unusable by the devastating earthquake on January 12. Tower controllers provide service to arriving and departing flights in the immediate area of the airport and serve as ground controllers for movements on the airport surface. Besides air traffic employees, the FAA has an airports division team on the ground to inspect and evaluate the physical condition of the runway as it handles a high volume of heavy military transport and cargo aircraft. Immediately following the earthquake, the Department granted two exemptions from current aviation restrictions, expanding the pool of available aircraft by making them easier to charter. The first exemption helps streamline the ability of the U.S. Government to procure charter air services on short notice. The second granted authority to a class of carriers that operate large aircraft in private carriage, allowing them to evacuate persons from and bring personnel and supplies to the disaster area. Without this exemption, such conduct could violate the Department’s economic licensing requirement for airlines. In addition to the FAA assistance, Federal Transit Administrator Peter Rogoff granted an emergency petition to the principal public ferry service in Puerto Rico to use the Federally-funded vessel the "Cayo Largo" to transport 65 rescuers, rescue vehicles, and medicine to the port of Baraona, Dominican Republic to help in the Haiti relief effort. The ship sailed Monday from San Juan.